Free live young health What Happens if the Excess Calcium? What Happens if the Excess Calcium? Calcium plays a role to help the formation of strong bones and teeth, is also important for healthy hair, nails, and muscles. Calcium is also useful for preventing osteoporosis in later life, therefore everyone has to meet their daily needs for calcium every day. However, keep in mind also if the excess calcium in the blood can be harmful to our health. Approximately 99% of the calcium found in a person's body is in the teeth and bone, while the remaining 1% is in the blood circulation, which helps the digestive system and other activities in the body. In old age, or because of poor health conditions, calcium substances cannot be absorbed perfectly by the bone. As a result, the calcium begins to concentrate on other parts of the body, which is then the cause of problems that occur due to excess calcium. If we experience excess calcium, then the calcium will be absorbed by other body parts such as skin, nails and other tissues that do not really need it in large doses. 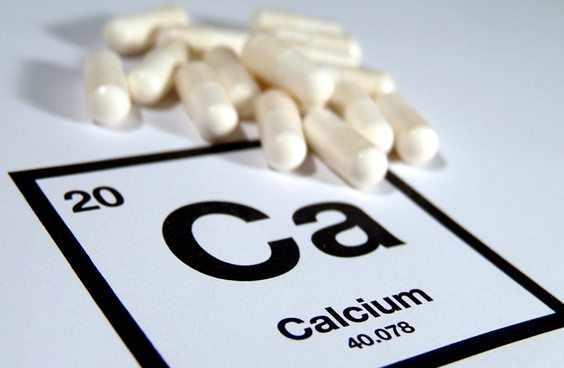 Although a person's overall health is affected by the calcium content that is sufficient in the blood, there should be no excessive calcium deposits in other parts of the body. To avoid health problems like this happen then the body must be able to absorb calcium as a whole. For this reason, doctors usually recommend that we take calcium supplements in the form of tablets after eating, so that when the process of absorption and digestion of the body is running as well as absorption for calcium substances. Depression, premature aging, and fatigue are some signs that indicate if your body starts to have excess calcium, and calcium substances have spread to other parts of the body. Consumption of foods or drinks containing calcium at normal doses will not be harmful as long as the dose does not exceed 2500 mg per day (except organic calcium). Before purchasing and taking calcium supplements, make sure that the supplement product allows the body to be absorbed as much as possible, so that the distribution of calcium to the bones and teeth that do require calcium, not to other body parts. You may have heard the term densitometry, densitometry, usually every 6 months to calculate the levels of calcium in your body. If your densitometry results show too low levels of calcium in the body, you should consult your doctor to try to increase the calcium content in the body so that the body does not lack calcium. After reading a glimpse of the effects of calcium overload, you should now know which calcium supplement is good, in terms of absorption rate by the body is very high. Title : What Happens if the Excess Calcium?